Oh, Why Is It So Difficult? The German original of this article was published in “Taiji & Qigong Journal”, No. 4/2016. The article is also available as a pdf for reading online in English, download in English and for download in French (Telecharger l'article). Serious progress in the practice of taiji often requires far-reaching changes that can involve various levels of training. 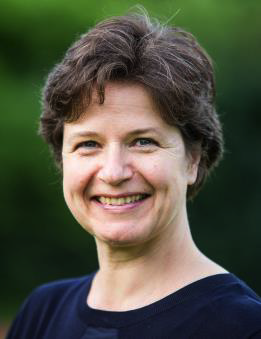 Christine Schneider investigates the question of why such changes are so hard to achieve and explains, on the basis of the teachings of Patrick Kelly, that a deeper level of consciousness is required for essential changes. Considering how difficult it is to change old and deeply ingrained habits – and this applies equally to habitual movements and emotional patterns – it sometimes seems like a miracle that it is possible to change them at all. But exactly this is the task for those who set out upon the path to learning taiji: discarding old habits and adopting new ways, with the changes progressing as individually as people are unique. It often seems that a teacherˈs words have very little visible impact. As instructors we are all familiar with the phenomenon that in spite of the most careful, repeated explanation and demonstration, students still do something else, sometimes even the opposite of what was asked of them! Does this mean that, as an instructor, one has almost no ability to effect true and lasting changes to the movements of course participants? How then can it be that such importance is attached to the “lineage”, that is the chain of instructors through whom the teaching of taiji is transmitted? Most practitioners know about the preeminent role of the teacher and his or her enormous influence upon their development. This influence can however be overestimated as well as underestimated. With all due respect for its role in teaching, one often overestimated channel of transmission is verbal explanation. Explanation is without doubt an improvement over the traditional Chinese system, in which little explanation is given and questions are not permitted. Explanations are also particularly useful in helping western practitioners access an art which is not part of their regional cultural heritage. Complicated verbal explanations can, however, be taxing and lead to undesirable side effects which can remain hidden even to experienced instructors, insofar as they are not sensitized to certain signs. The explanation for the fact that students ignore many of our instructions lies in the way that the human mind functions. In certain situations – for example information overload, contradictory sensory input1, strong (and thus limiting) focus2 and emotionally charged situations – our brain changes the way that it perceives reality in order to simplify, rationalize and cope with the situation. Because it is easily accessible in our day-to-day experience, the waking, or normal state of consciousness is quite well known, as are the states of sleep, unconsciousness and coma. Exceptional situations such as high fever and other illnesses, sleep deprivation, unusually strong psychological stress or intoxication extend this spectrum. Not so widespread but well documented are experiences with trances induced through movements and/or rhythms, hypnosis and self hypnosis. With a model that recognizes only waking and sleeping states, one can only be awake or not. Patrick Kellyˈs model of different layers of the mind that are closer to or more distant from our waking consciousness also allows for the possibility that the different layers operate simultaneously – something which requires lots of training and experience. An example would be the use of deeper (and therefore very effective) intentions with a full body awareness which is able to simultaneously perceive subtle pressure and temperature changes throughout the entire body even as the outer awareness (superficial mind) continues to operate. When pushing hands this awareness even perceives internal changes within oneˈs partner – a situation of extreme complexity! The recommendation to calm the mind is commonplace in taiji. This is insufficient, however, and is just the very first step: allowing the superficial mind to become passive. We usually use the metaphor of “falling asleep” in training. Implicit in this instruction is that it applies to the most superficial layer of the mind, the layer which is able to fall asleep – so that deeper layers can “wake up”. Likewise, many schools recommend “rooting”, “sinking deeper” or “going deeper”, but understand the instruction only as applied to the body. Yet “sinking deeper” also applies to the deepening of the mind. Only by training the mind in this sense, i.e. by exercising the deepening of the mind, modulating between different levels of consciousness and practicing the simultaneity of intention and awareness does the dilemma which arises from the limitations of everyday consciousness slowly become solvable. The superficial mind can only process a very limited amount of sensory information in such a way that the control of adaptive reactions takes place in a meaningful – that is, in the spirit of taiji principles – way. This is why it is almost impossible for a beginner to change things which require subtle control. The superficial parts of the mind can only influence and manage a limited number of movements at once, and only in their rougher aspects. Fortunately there are so many gross adjustments that must be made in the beginning that they keep the superficial mind busy while students slowly learn to reach and use the deeper levels of the mind that are needed for more subtle change. Right or Wrong? Usually Neither One Nor the Other! Sometimes students repeat a movement just once after I correct them and then ask: “Is this right now?” I can almost never answer such a question with “yes”, but neither could I answer with “no”. Why not? It should be reasonably easy to distinguish wrong from right. The corresponding movement is not right in the first attempt after a correction – indeed, it cannot be right – because my intervention was very likely directed not at a small outer detail of the body posture or figure (which is simply a matter of knowing and remembering and can easily be changed), but rather at a second level of accuracy which is far more difficult to achieve and far more difficult to change. and innumerable further subtle details! These corrections imply changes which are not so easy to implement and which require a lot of effort on the part of the student. There is an implicit prerequisite that the student sees what s/he is doing and understands what needs to be done. Only then is there a chance to change a habitual movement. As long as there is a gap between what the student believes s/he is doing and the actual body movement, there is not (yet) a chance to perform the correct movement. The main problem here is that the awareness, or listening, is not deep enough. In its everyday state a mind which is merely quiet and watchful will not pick up the feedback of those internal sensors which require a much deeper state of the mind to be heard. Refining coordination of internal changes is much more difficult than refining the accuracy of the first level (the external movement) and takes many years. The accumulation of improvements to this precise coordination results ultimately in the suppleness which characterizes taiji at the highest levels. If the body is not integrated in this way then the effect of mind intention remains limited and below its potential – because de facto many uncoordinated (and partially unconscious) intentions are active. Once the student perceives what is really happening, s/he can change it. Then it is only a matter of time and intense effort until habitual movements change. Little effort brings slow or no change. With a large commitment change will take place faster. If the concentration comes from a deeper level of the mind, the change can happen relatively fast. A strong concentration from a superficial level will also produce change, but will not reach and include the more subtle aspects of the movement. Hence, although the categories of “right” and “wrong” certainly exist and are meaningful with respect to outer movement (facing left or right, stepping forward or backward, for example), the outer movement itself is not really important. To move correctly on this first level of accuracy is not so difficult4 and does not require any internal change. Once one looks at the second level of accuracy, however, it becomes impossible for a beginner to move “correctly”. This does not mean that all of beginners' movements are “wrong” – it is simply more appropriate to describe them as “more or less refined”. All schools strive for refinement, but not all strive for the same kind of refinement. The difference is not difficult for a well-trained eye to see. With regard to change perhaps the most important factor is the intention to change. Often people say that they want to change, but as soon as they confront the reality of taking the first steps, they back off. The change suddenly threatens something they do not want to let go, or becomes too difficult. A mere superficial wish cannot overcome a deep-seated resistance, and therefore no change will take place. At the same time, energetically and physically stored emotional experiences also play a large role. Our past contains good reasons for why we have become who we are, and for why we move and physically organize ourselves as we do. Not infrequently these internal resistances are the reason that beginners give up after the first few classes. Usually these psychological dynamics and the way they are triggered by certain physical practices remain subconscious, and reasons to quit training are found externally. Ultimately the reason why someone wants to change, i.e. the motive, has a major influence on the prospects for success for the intended change. We are usually right where we need to be to get to where we want to go, so we should start by fully accepting our state of taiji development at this given point in time rather than trying to escape a state which we regret, reject or which we believe to be beneath our “true” ability. In this context Patrick Kelly writes about the dichotomy of “acceptance” and “struggle” and about the importance of finding a balance between these two poles.5 Acceptance and struggle should operate simultaneously, not as antagonists – then they will contribute towards the rapid progression of an intended change in a person. Despite all of the difficulties we experience the miracle of change in taiji time and time again. Our own efforts are indispensable, but luckily there is support: the examples set by experienced teachers and advanced students and the energy of a concentrated, practicing group are supportive without doubt. Understanding the reasons why change is generally difficult should lead to an understanding attitude and clemency toward oneself – without thereby giving up the desire for more change. Christine Schneider encountered Patrick Kelly in the beginning of the 1990ˈs, which had a decisive influence on her further practice of taiji. As part of his network of senior instructors, she now holds international workshops in several European countries. Her interest in the complex relationships between mind, emotion, soul and body led to training in shiatsu and Hakomi therapy. She has led the taiji-schule in Vienna since 2011. 4 A highly debatable statement. Many taiji practitioners who struggle with the precision of their movements would argue against such a claim and even consider it provocative. My point is that outer accuracy is relatively simple compared to the subtleties and the required depth of an advanced training on the internal level, involving a range of timings of mind-body coordination and learning to synchronize different parts of the body in a wave-like motion. Master Huang Xingxian (1909-1993, born in Fujou, China, later living in Kuching, Malaysia, practiced and taught Taiji with a depth and subtlety seldom seen in recent times. I first trained his Taiji in 1973 and continued closely with him until his death 20 years later. For the benefit of those who, choose to make some effort to follow his teachings, I would like to pass on something of his teaching style and details of the most important aspects of his Taiji. Throughout his life he constantly refined and evolved his methods – just like his teacher Grandmaster Zheng Manqing who described himself as "The Old Child who never tires of Learning". Having worked so hard to achieve his own understanding, Master Huang did not give away his methods easily, but preferred to give hints, then leaving people to succeed or fail according to their own intelligent practice. While initially suspicious of Westerners he gradually warmed to my presence, later emphasising to all that success at Taiji was completely independent of race. He strongly believed in the importance of personal effort saying, "Life is difficult and even when we become older it does not necessarily get any easier, but effort and the progress that comes from it is always fully worthwhile." Though Master Huang was very much a martial artist in his younger days, he listened to his teacher Grandmaster Zheng Manqing who having explained that Taijiquan has both a martial side and an internal cultivation side, pronounced, "The martial art aspect of Taijiquan is useful but not important". In his later years Master Huang predictably often began his long talks to the students with, "Taijiquan, bu shi wushu (Taijiquan is not a martial art)", at other times stating, "I teach Taiji, not Taijiquan." Privately to myself he went further declaring over supper one evening, "Taiji is not important – the Dao is important." Set enigmatically against this leaning towards internal cultivation was his remarkable, fully tested seldom matched, martial arts skill. It was particularly for the quality and strength of his internal power (Taiji Jin) that master Huang was known and respected throughout the martial art world. In fact I travelled the world widely meeting many Taiji teachers but none compared in martial skill to Master Huang, except perhaps the Wu style master Ma Yueliang of Shanghai, son-in-law of Wu Jianquan. Even then, while on the more important level of the mind and beyond their ability was similar, on the level of the body Master Huang's movement was distinctly softer and more subtle. But further, the internal power that may be developed in say, Fujian White Crane, is different from the internal power developed through the correct training of Taiji. This may be compared to the difference between throwing a spear (White Crane) and shooting an arrow (Taiji). When throwing a spear with internal power, while the forces and energy are listened to and directed with a clear effort of the mind, the end result is a strong contraction of the muscles to extend the arm and push out the spear. However in shooting an arrow (here the analogy is of the body acting like the bow) the body is pressed against the ground by a combination of momentum (from any previous movement), inertia (of our body's mass and the partner's mass) and that component of the partners forces which we accept (intercept). During this process the muscles stretch like the fibres of the bow and the forces and energies are stored for a short moment within this elastic condition, then released like the shooting of an arrow. Using subtle awareness to perceive and direct this process will ultimately lead to deep understanding of the Taiji-elastic-Jin. The process of relaxing Master Huang explained more deeply as having 3 phases, loosening, sinking and emptying (Sung, Chen and Kung) – loosening concerns the removal of the external force of the body, sinking concerns the arising of the internal forces, while emptying concerns the directing of these internal forces from a deep part of the mind itself. To understand loosening of the body is easy enough although to achieve it to a high level requires many years practice. After the muscles have contracted to initiate a movement they then relax and the body moves on under its own momentum, falling slightly to the ground in the process. To understand the second phase, that of sinking, is more difficult. It does not simply mean a settling of the energy field and body as it presses onto the ground, but perhaps the exact opposite – the intensifying and arising of elastic forces and energy on a deeper level replacing the external strength which is simultaneously drained away by the loosening of the body. The third phase, the emptying of the mind, is even more difficult to understand. Again this does not mean the quietening down of the automatic superficial thoughts that habitually invade an untrained persons mind, though this does represent an early stage of the external training. Remember the Daoist phrase: "The Void that is empty is not the real Void. The Void that is full is the real Void." Just as the loosening of the body allows forces and energies to grow and work within it, so the concentration on these forces and energies gives rise to the strengthening of a deeper part of the mind (the Deep Mind, Empty Mind or 'Mind within the Mind') that arises gradually over the years with correct training. Then the Yi that issues forth from this deeper aspect of the mind takes control of the energies and subtle forces along with the body itself. To understand and practice the 3 phase process of relaxing is to understand and practice the mind. To initiate the practice of the mind Master Huang, in his later life, talked explicitly of closing down the superficial daily awareness just as when we go to sleep at night, then using the deeper consciousness that arises to manage the internal training. The mind simultaneously functions on the external level of normal life (superficial mind within the physical world) and on each of its 3 internal levels (Deep Mind within the levels of Man, Earth and Heaven). During the process of internal training initially the mind is turned inwards and stabilised on a deeper sense of the body. Later it is tuned in to the intermediate level of the forces that operate in the body (Taiji-elastic-jin). Finally it is tuned to the personal energy field with its 3 levels – Jing, Qi and Shen. Further, mind has a triple aspect – awareness (Dingjin), intention (Yi) and intelligence – which operate on each of the above levels. This is reflected externally in the nervous system where it is understood that there are sensory nerves (awareness), motor nerves (intention) and processing neurons (intelligence), all working together to control the physical body. To further understand awareness (Dingjin) both in the sense of listening on the first level of body movement and the intermediate level of internal forces, it is necessary to know that just as we have 5 external senses (sight, hearing, smell, taste and touch) for perceiving the external world, so we have internal senses (which can be conveniently grouped into 5) for perceiving our internal world. These physically existing sensors or nerve ending types are – pain sensors, joint-position sensors, muscle-state sensors, pressure sensors and temperature sensors. Temperature sensors and pain sensors are not directly involved in normal movements, leaving all actions to be regulated (on a subconscious level for untrained people) by the joint-position, muscle-state and pressure sensors. So to train Dingjin means to slowly redirect awareness from the 5 external senses to these 3 internal sensors. The effort to train the accurate positions in the Taiji Form focuses on the joint-position sensors. To train the muscle changes of, initially contracting and releasing then later stretching and un-stretching, focuses on the muscle-state sensors. To train initially the pressure of the feet against the ground and the pressure of the hands against the partner, then later the pressures that develop deeply inside the body but especially in and around the pelvic bowl and waist, focuses on the pressure sensors. Training these 3 will inevitably lead also to awareness of the heat field of the body (often mistaken for the Qi itself). To gain a deeper understanding of intention (Yi) and the training involved in its strengthening and refinement is one step more difficult again. In speaking of the Yi Master Huang usually quoted the classical saying: "The heart (Xin = deep core of being, not emotional nature) generates the Yi (classical Chinese = intention or will). The Yi moves the Qi. When the Qi moves the body follows. Because of the increase in power arising from the correct development of the Yi, the methods of training Yi have historically been, as Master Ma Yueliang explained, "taught in secret to members of the inner-schools of the few masters who understood it." Training the Yi involves more direct effort than training Dingjin, just as to activate the muscles requires more effort than to be aware of sensory information. Essentially we strengthen the Yi first by concentrating on a point either within the body or later outside, while directing our power towards that point. To refine this we replace the point with a line of light either straight or later curved. To refine it further we replace the line with the changing sphere, extending to arm's length or a little beyond, which simultaneously includes all points and all lines. This final sphere is the unique space in which mind, energy and all possible body movements merge. In order to refine and deepen the emerging Yi, through the internal levels, it is important to remember that the Yi issues from the level on which the awareness is centred at that moment. While training the Taiji Form develops internal strength. Training the Taiji Pushing-hands develops the sensitivity to apply that internal strength. At each stage and on every level, as the intelligence increases, whatever has been achieved inside yourself can be extended through your partner in the Taiji Pushing-hands. While discussing the Taiji Pushing-hands and the timing of the subtle processes and forces (Taiji-jin), Master Huang most often recalled the classical injunction: Chan, Lien, Nian, Sui – bu tui, bu ding. This can be translated as Touch, connect, merge and follow – don't resist, don't let go. While this is best learnt through physical practice with those who understand it themselves, I can point out that 'Touch' corresponds to movement and the muscle state of contracting, 'Connect' corresponds to loosening and the muscle state of relaxing, 'Merge' corresponds to sinking and the muscle state of stretching, while 'Follow' corresponds to 'Empty' and the muscle state of un-stretching. These 4 taken along with 'bu tui, bu ting' form the 5 elements (Wuxing). The best thanks we can offer Master Huang for his tremendous effort in spreading and developing Taiji is to refine, evolve and spread his methods. I hope my small summary above of some of the deeper aspects of his teaching can help to stimulate that. Taiji is a Daoist art of great refinement. Don't lose that deep tradition – whether as a physical art for self-defence, as a health promoting art through the circulation of fluids and energy, or as a high art of spiritual development leading to immortality within the inner realms. If you ask me whether my 40 years of practice confirms this possibility of immortality then I must answer that it is completely true, theoretically accessible to all, but practically speaking available only to those prepared to make the lifelong effort while receiving the correct guidance – thereby following the disappearing footsteps of Master Huang's trodden Way. What is your understanding of how, and when, Tai Chi emerged? There are really two versions of Tai Chi history – a written academic one and another which is passed down from teacher to pupil. My teacher (Master Huang Xingxian) had his history that he had been told by his teacher who had been told by his teacher and so on. I trust that one more because each of these people in the chain trained for a long time, 20 years or more with their teachers. Their teachers passed on their genuine knowledge that they had received from their own teachers. Then there are the written historical records and these are incomplete really, because especially in older times the teacher never gave out the information - this was a type of secret information that was passed on from teacher to pupil. It's only in more modern times that the history has been written down and correlated between the different accounts. If you look at the historical records a few generations back there is a break, before which not much is known. The information that has passed down from teacher to student was more continuous and goes back to who is considered the (perhaps) mythical founder, Chang San Feng, who is said to have lived about 750 years ago. So that information was passed on. My teacher received it from his teacher and so on, back as far as we know. I think this is more trustworthy information..
What did they say about what happened at the time of Yang Lu Chan (1799-1872) for example? Well, Yang Lu Chan learnt from a member of the Chen family. 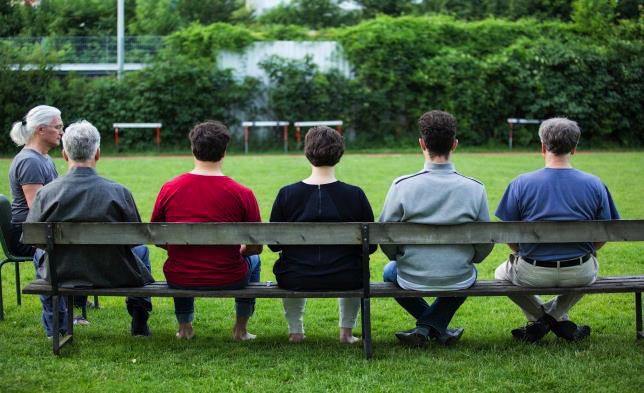 It is (according to the inner tradition) true that the best student of each Master receives the lineage – sometimes there are several best students, not just one. So the one (or few) best students receives a lineage. The alternate tradition that the family members receive the lineage is more like an outer tradition, not the inner one. Yang Lu Chan, as far as we know was the best student, substantially better than the other ones of his teacher and so the Tai Chi tradition passed on to Yang Lu Chan. According to Master Ma Yu Liang, the present Chen style is not representative of the Tai Chi that the Chen people practised at the time of Yang Lu Chan. Master Ma said it was lost and recreated quite recently out of the Chen family Shaolin type of art. Does that explain why the Chen style we see these days looks quite a lot like the Shaolin styles? Yes. Chen style Tai Chi is much closer to Shaolin than Tai Chi in fact. What happened, partly, was at the time of the communists taking over in China, they suppressed Tai Chi. Many of the best practitioners escaped to Hong Kong, Taiwan, America and Great Britain. The ones that remained in China were heavily repressed – prevented from practising or teaching, often imprisoned and sometimes killed. After a time the communists realised they’d made a mistake and they began to attempt to resurrect Tai Chi but because Yang and Wu styles had mostly escaped to the west they attempted to resurrect the Chen style - so that became the government sponsored art, the one that wasn’t taught widely in the West. That’s why the Chen style became popular. I knew Yang and Wu style people who switched to Chen simply because that was the only one they were allowed to practise. 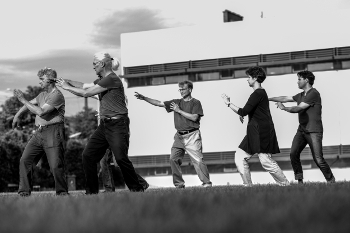 Within the lineage that you trained in, has Tai Chi changed at all since its early origins? It is absolutely unknown how much it has changed in the last centuries. What we do know (once again this information came from personal conversations with Master Ma Yu Liang who lived in Shanghai for most of the 20th century) is that before his time the slow form didn’t exist. The Yang style slow Tai Chi Form was created in the early part of the 20th century. Yang Cheng Fu created the Yang style Form and Wu Chien-chuan created the Wu style. Before that the Forms were substantially different. There doesn’t seem to be much consistency between different written accounts of Tai Chi history. No, because there is not much good information about. Master Ma saw and knew, these old Tai Chi characters – Yang Cheng-Fu, Wu Chien-Chuan, Yang Chien-Hou, Yang Pan-Hou. Before this first hand account of his, the history is really vague. How do you think the philosophies of China have influenced Tai Chi, for example Confucianism, Taoism, and Chan Buddhism, have they played a part in influencing Tai Chi? They have played an inevitable part - they play a part in the whole of Chinese society. The Chinese mostly integrate those three quite smoothly in their life without feeling they are separate things. Typically they use the Confucianism for their external way of life, how they relate to their parents, their family, to society. The Buddhism has more of a religious nature, the Taoism has more of a philosophical nature and so they use the philosophy of Taoism, the religion of Buddhism and the social interaction coming from Confucianism. That philosophical pragmatism naturally infiltrated the Tai Chi teaching as well. Master Huang and Master Ma, for example, were members of an esoteric society that deliberately integrated the Confucian, Taoist and Buddhist principles. They merged them without the feeling that people might get in the west that these are three separate things that should be kept separate. In the west most people say that Taoism has been the biggest influence on Tai Chi. Is that true? Well yes I’d say that’s true, Tai Chi is considered more of a Taoist art, while the Shaolin arts were practised in the Buddhist monasteries. Tai Chi, Hsing I, Ba Gua and a few other lesser known arts arose more amongst the Taoist teachers. Master Huang's teacher was known as a Taoist wandering monk. Buddhism has a later influence in China than Taoism. Taoism can be traced back to two and half thousand years ago, via Lao Tzu, so that is the original influence I suppose. It was when those two, Taoism and Buddhism, met, that Chan Buddhism appeared. Chan Buddhism later spread from China to Japan giving rise to Zen Buddhism. The Yin Yang symbol, which seems to come from Taoism – could you explain the general meaning of that symbol and its specific relevance to Tai Chi? Tai Chi as a philosophical concept existed long before Tai Chi as a practice. Only in the last one or two hundred years was the name Tai Chi given to this system of practice. The general meaning of the Yin Yang symbol, put simply, is the intelligent interaction of opposing forces, rather than the unintelligent meeting and conflict between opposing forces. Speaking more specifically, it can apply to two people - the intelligent interaction between the two people. It can apply more generally in society to the large social pressure of groups or even cosmologically to the interaction of universes. It can also apply more particularly inside yourself, to two types of otherwise conflicting forces. For example, the emotions and the intellect or the body’s urges and the mind’s wishes. It might also apply to the struggle between external forces that drive a person connected to their outer life and the internal ones connected with inner evolution, enlightenment or immortality. To add a little more it can also be seen in the interplay of awareness and intention in terms of the active and the passive, so this is looking at it more specifically not as two equal opposing forces but one permanently active and one permanently passive, together with the intelligent interplay of these two things. The intelligence is the neutralising force, that is not always seen. That intelligent interplay between awareness and intention within the mind is reflected also in the nervous system in that sensory neurons connect with the sensory apparatus of the body and the motor neurons connect with the motor apparatus, while interneurons process the information between the sensory neurons and motor neurons. So the mind itself is reflected in the body’s nervous system which is a very specific example of the Yin Yang diagram. That sounds like it is also corroborated scientifically. Yes the Tai Chi diagram is a very physically accurate description of what happens in the body. 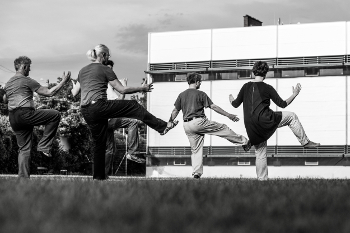 Could you explain the idea behind the training methods that make your Tai Chi an internal art? What makes an art internal rather than external? Basically, when the mind is active and the body responds – rather than just the body movement taking place – then the art is an internal one. Conversely when people train only moving with awareness, the body performs the action while the consciousness is aware of the body moving. In this case the body is active and the mind is passive. It is really an external art if practised in that way. Then there is the question about what level that intention, which initiates the movement, comes from. If the intention is quite an external one then you can barely say the art is internal. For example to imagine some picture in your mind, then attempt to use that to regulate the movement, would be a very superficial use of the mind. So the depth of the mind which produces the intention to move determines the degree to which the art is internal. Most people when they come to Tai Chi are doing so because their mind becomes relatively calm and they get into a nice relaxed mental state, they might experience a nice peaceful mind, relaxed state of mind, could you talk a little bit about how this can help (or hinder) the process of Tai Chi? It is necessary in the early stages to learn to quieten the mind, calm the emotions and relax the body. This is external training, you move the body, smoothly, calmly, breathing gently and as a result, through listening to that smooth calm movement, the mind becomes quiet the emotions calm down, the body itself becomes relaxed. So this early training typically takes a few years - that brings about the base condition in which people can begin the internal training. Tai Chi is often portrayed as quite an effortless art, giving that peaceful feeling to the practitioner. Do you think that is a realistic portrayal of Tai Chi? There are two aspects to the effortlessness. The external aspect is by removing the excess thoughts, the excess emotional activity and the excess bodily activity then the resulting gentle movements have a feeling of effortlessness about them - but this is only the external sense of effortlessness. There is another meaning to it completely - that is, that if you go through the intensive training then after some decades perhaps you arrive at a state where, because of the very deep part of you becoming active, then you become able to deal with difficult external circumstances in a very effortless manner. So the first effortlessness that appears is by making the external circumstances as easy as possible, being as quiet as possible, as calm as possible, moving as smoothly and slowly, then from those external easy conditions you achieve a type of peaceful state. Unfortunately when you later meet difficult external circumstances the effortlessness will disappear. It’s only later that with great intelligence from a very deep part of yourself that you’re able to effortlessly deal with difficult external circumstances. This is a much more profound aspect of effortlessness that only comes from long training. Does that point to a deep integration of the practice of Tai Chi when that arises? That is really the sign of a person’s training having gone deep - that when they meet difficult external circumstances, physical pressure, emotional pressure, mental pressure they are able to deal with it in a highly intelligent, smooth and gentle manner. How important do you think is Tai Chi’s connection to the past and what relevance the art has to life today? The connection to the past is important not from some philosophical point of view but purely in the sense that each person who has trained deeply received their art from a previous person who trained in it deeply. The training goes back beyond the known history and although the art can be refined from generation to generation it still depends on that highly refined information and training that is passed on from the previous generations. It is not something that is just new and can be discovered easily in one generation. That is the importance to the past. The art is just as relevant to the modern situation as it was to each of the generations in the past. What emphasis did Master Huang place on some of the philosophical principles? He placed a great emphasis on the philosophical principles, in terms of those three philosophies that we mentioned earlier - Confucianism, Daoism and Buddhism. He didn’t differentiate between any of them, considering them all relevant teachings to Tai Chi. As mentioned earlier he was a member of an esoteric society (as was Cheng Man Ching and Yang Cheng Fu) where they integrated the outer social practices of Confucianism, the slightly religious practices of Buddhism, (chanting and reading of sutras etc) and the internal energy circulation and transformation that is taught in Daoist meditation. He was initially taught Tai Chi in the Daoist tradition by his teacher who was a Daoist monk. That teacher taught him Chinese medicine, the Daoist fighting arts, the Daoist philosophy and taught him how to read the classics and old Daoist writings and so on - so that was an integral part of his learning and he attempted to pass that on to us. You talk about the Tai Chi classics. Could you explain what they are? The Tai Chi classics are a set of writings, I can’t give the exact dates - I can’t even give the exact manuscripts because different teachings take a slightly different set of writings as the classics. But there is a core group of classics of perhaps five writings. These are writings from competent Tai Chi teachers over the last one or two hundred years that contain the basic principles of Tai Chi and people normally refer to anything that complies with (or fits in with) these particular writings as Tai Chi, and if it doesn’t you can’t really call it Tai Chi. During your life you have studied three main philosophies under three main teachers: Daoism under Master Huang, Hinduism and yoga under Muni Maharaj and Sufism under Abdullah Dougan. How did you reconcile these different approaches within yourself when even, for example, studying two slightly different Tai Chi lineages can cause confusion or be problematical? I was able to manage these three teachings, the Hindu yogi teaching, the Daoist teaching and the Sufi teaching in the same way that my teacher was able to manage the Confucianism, the Buddhism and the Daoism. Specifically I looked for what was common to those three teachings, and I considered what was common was what was important. Conversely, what was specific to any one of those traditions was a layer that came from the society in which those traditions had arisen. Those three very experienced people (who had learnt from various experienced people themselves) helped me to pick out from the traditions what were the really important core elements and what was just this layer that had been placed on top by history and by society itself. So going beyond the cultural appearance of those things? Yes, that was the way. I looked beyond the cultural appearances because everything gets layered over by the culture of the time. Where you looking for what was personally relevant to you? Not really, I didn’t look at what was personally relevant - rather I tried to see what was the true essence of the teaching. For each of those teachers I learnt from, deep inside themselves there was no difference at all. They understood exactly the same thing. Each of them by the time of their deaths had very little of the cultural aspect left in their teaching. Earlier on however, their teaching was much more related to their culture. For example Master Huang when I first knew him was much more influenced by the Chinese culture - 20 years later his teaching had lost a lot of the Chinese culture. It was the same with the other teachers. Apart from that transformation, deeply inside themselves their teaching was the same. Were they seen within their own culture as being slightly unorthodox because of that? Each one, as they developed gradually, was seen to be slightly unorthodox. Within the context of Tai Chi what do you think is possible within Tai Chi from the spiritual perspective? In Buddhism they talk of enlightenment, in Daoism they talk of immortality, in Sufism they talk of annihilation. In Hindu related yoga traditions they talk of realisation. So to realise the self, to destroy the non-real self of the Sufism, to become immortal in the Daoist tradition, to become enlightened in the Buddhist tradition - all these are just ways of looking from the outside at the same thing that can take place within as a result of true training. When this transformation takes place (whether you consider the person becomes filled with light or the immortal emptiness arises or the ego is de-constructed allowing the self to be realised) then that person can live within that very deep real part of themselves – they’re no longer dependent upon the body and a type of immortality is achieved. That process should be made clear as an on-going journey with no foreseeable end, but there are stages on that journey and one might reasonably be called by the modern term of ‘enlightenment’ which may confer a type of immortality and can in another sense be called self-realisation. This stage is the stabilising of clear contact with the true part of yourself, your Real Self. Developed teachers considerer that stage as a major step on the journey. It seems that these days there is a danger with the different spiritual traditions being offered as a commodity or there is now a new age industry, a spiritual industry that makes it hard for people to clearly discern what is genuinely going to help them or is going to be quite a superficial teaching. Could you offer any advice on that and how people can discern clearly between the false and the real in respect of that? The problem arises inevitably for every person because people begin from a relatively superficial space. The superficial part of them, the brain thinking, reads/hears or sees some deeper teaching and translates it to fit into its own superficial structure. So something that is really deep and beyond the knowledge of the brain consciousness (which can only perceive through the external senses) becomes translated into mental concepts by the superficial part of a person which imagines that it understands those deep teachings, then perhaps begins to teach them, even sell them on to other people and so inevitably in every generation back as far as we know the same degenerative process has taken place. A story I was told by a Buddhist teacher in relation to what I was teaching about this was that one of the Buddha’s disciples after training for 20 years came to the Buddha and said I have done your meditations, I have done your religious practices, I have done the physical practises, for 20 years yet I seem to have no result. The Buddha replied that though you have followed everything I’ve said, everything you’ve done has been done with your everyday mind. You have translated all I have said into your everyday concepts, you have repeated the mantras with your everyday mind, you have done the meditation with the everyday mind – but the everyday mind can’t lead to the Buddha mind. This problem, the same problem from two and a half thousand years ago, continues today. People read, hear and see profoundly subtle teachings and quickly imagine they understand them. So the only way to avoid that incorrect track is to find somebody who has made something real out of the practise and can lead you into the depth of it. Could you say how this apparently soft art of Tai Chi could be used as a martial art effectively? The saying is in Tai Chi the weak can overcome the strong, the slow can overcome the fast. The way that you can use Tai Chi to overcome the fast and the strong is by not opposing the fast and the strong. You mustn’t oppose the strength but merge with the person’s strength and be part of it. You have to move with it and then you can have an influence over it - the moment you attempt to block it or force it another direction then you meet the strength. Specifically when a force comes you must move in the same direction as the force, then you can gently have an influence over it - in the same way as pulling on a string in a bull’s nose rather than meeting the strength of the bull or forcing it to the side. Untrained people typically meet forces head on while people trained in the harder martial arts train to parry the force at 90 degrees, but they both still rely on the defenders strength. However even the smallest person can begin to lead the bull by its nose once the bull begins to advance. That’s a saying in Tai Chi, “to lead the bull by its nose”, and it’s the key to dealing with the opponent’s strength as having merged with the person’s movement, you can then begin to have an intelligent influence over their force. In terms of the slow overcoming the fast, then that is done through timing. It is not achieved simply through slow movement overcoming someone moving fast but it is achieved through operating consciously on a much deeper level. That depth allows you to perceive and understand the process in its early stages, so before the process is fully developed you see the earlier signs of it. This places you ahead of your opponent in time, then without needing great speed you can be prepared for the event as it reaches its fullness. So in truth timing can overcome speed and sensitivity or merging with the partner can overcome their strength. Using sensitive intelligence developed through true Tai Chi it is possible for a smaller, weaker person to definitely deal with the power from a larger, stronger, faster person. At first people can understand the principle of that, how long do you think to put that into practise? To gradually learn the ability to overcome strength and speed with intelligent sensitivity is something that takes place over time. Initially there is a small ability to do so, and gradually that ability develops over decades, but even after one, two or three years a person should have some ability to deal with gross strength by merging and moving with it rather than opposing it or trying to force it in another direction. Of course after decades the skills should converge towards perfection. What advice would you give to somebody wishing to start Tai Chi? If you wish to start Tai Chi, there are two things to do well. One is the process of learning, the other is the process of finding a good teacher or good teaching. With the process of learning you have to start from the outside and work slowly inwards. You need to begin with exactly what you have. You have the your body movements, your thoughts and your feelings - you have to begin with a process of refinement of all three of those. Typically you’d begin by removing the tensions of the body, that’s to say relaxing, so to relax the body is generally considered the first stage of beginning to learn Tai Chi. This may take one, two or three years if you practice sufficiently to remove the excess outer tension from the body. In the process of doing this the associated emotional tension and over-activity of the brain will also be affected, will be reduced. So that is what people should look for initially. In terms of finding someone who is able to teach you that, you have to apply your own intelligence, your own experience from life to look around. Out of the range of teachers, some know more, some know less, some are more suitable for yourself and some are less suitable for yourself. Ideally you should choose someone who has trained for a substantial length of time with their teacher who in turn had trained for a substantial length of time with their teacher who had trained for a substantial length of time etc, so that the very subtle elements of the teaching have been passed down through the generations and are available to you when you learn them. I was wondering if you could answer some more questions on the history of Tai Chi? It seems the more I look into this the less can be said for certain prior to the mid 19th century. According to the oral transmission of Tai Chi's history that you received was it true that Cheng Man Ching received teachings from Yang Cheng Fu or did he learn from one of Yang's students? Cheng Man Ching learnt directly from Yang Cheng Fu - but of course he also learnt from the senior students. That's the way all schools work. He especially learnt the meditation from Zhang Qinlin, one of the most senior students of Yang Cheng Fu (really a student of his father Yang Chien-hou). What is known about Yang Lu Chan and what did he learn from Chen Chanxing? Did he have other teachers? I have no good information on Yang Lu Chan and his teachers. Where did the Chen family learn their art from? Most old teachers say the modern Chen style is mostly Chen village Shaolin - barely connected to the Tai Chi of Chen village in the past. What was the significance of Wang Tsung Yueh? There is only speculation as to exactly who he was. Master Huang was taught by a Taoist Sage, so was Master Huang mainly informed by this? Master Huang's White Crane teacher was a Taoist monk, yes. He taught him White Crane, Chinese Medicine and Meditation. Can you tell me more about the spiritual interests of some of these teachers? Cheng Man Ching was in a Taoist 'sacred society' as was Yang Cheng Fu we believe. Master Huang was also a member. Master Ma Yue Liang was in that same one I believe (he talked to me about it). It still exists in Taiwan and Singapore. They teach the internal energy practices of Taoism, the mental attitudes of Buddhism and the social rules of Confucianism. I visited the organisation in Singapore a year or 2 ago. They have 3 temples - one dedicated to Taoism, one to Buddhism, one to Confucianism. Usually this information was kept fairly secret. Most students (of Yang, Cheng, Ma or Huang) are not told about it. It is information only for the 'inside the door students'. Did any of these teachers talk about Chang San Feng? Both Master Ma and Master Huang insisted it (tai Chi) goes back to Chang San Feng, but it was lost who was in the chain of transmission from that time to the present. You have very kindly sent me a copy of Master Huangs original lineage chart can you tell me more about it? Well, it is something that has never been published before - a secret lineage chart with Master Huang's inner students on the bottom line. The next line up shows all Cheng Man Ching's inner students. Next up is Yang Cheng Fu's etc. The lineage chart reveals the exact chain back about 6 or 7 generations. I was the only one allowed to hold a photograph of it and the original disappeared when Master Huang died. Unfortunately the resolution not good enough to read, although it is perhaps enough just to know that such things exist. I have kept it private till now. Why was there so much secrecy around this chart? The secrecy was because insincere people may attempt to use it for their own political purposes. Also in China secret police would have used it to persecute people and relatives of people. Some of the names appear to be scored out, why was this? They are probably scored out due to death. I am not sure if a person can be expelled. Master Huang commented on this once saying although people couldn't be expelled in his own mind some of those people were no longer in his inner school. Sincere thanks to Patrick Kelly for his time and help with this interview - both during his visit to Devon in June 2011, in subsequent emails and with the editing process. Thanks to Jo McGain for transcribing the original tapes. What have you gained from your years of Taiji work? Internal evolution is the main result of practise under the direction of a genuine teacher. Effort and sacrifice is the cost. In my early twenties, with 10 years training in Western martial arts, some knowledge of yoga and meditation, and about to complete my university studies, I made the decision to concentrate my life on the search for inner meaning and development. Boxing and wrestling had no depth, Yoga had depth but was too passive, while meditation lacked balance without some complementary training. I tried some of the Japanese systems but their culturally based severity turned me towards the Chinese arts, where I began Taiji. Taiji, at least the teaching of Master Huang Xingxian, has fulfilled all my expectations in terms of supporting balanced internal development. What particular aspects of Taiji really interest you most today? Only the mind and beyond interest me. Teaching how to bring the body under the control of the mind is my chosen area in which to help people. Personally, as the mind goes deeper towards its source, my interest is gathered in by that process. Health and self defence are very minor interests. Has your image of Taiji changed much over the past 30 years? Not really - I began Taiji not having seen it, only knowing it was one of the internal Chinese Martial Arts which were based on Daoist principles and that their purpose was internal development. After meeting one of Master Huang's instructors who clearly demonstrated knowledge and ability beyond anything seen in my previous 10 years of research, and then meeting Master Huang himself, I knew I had found what I was looking for. What is your personal teaching philosophy? It is important to encourage students to make an effort, both to extend their outer limits and to go deeper inside themselves. It is important to ensure students understand why they are practising certain exercises and where those practices will lead them. Seeing the way ahead and the purpose in going there, gradually allows them to be less dependent on myself. This understanding also protects them from being misled by unscrupulous teachers in the future. It is also important to recognise the responsibility in becoming a teacher. Practise is for your own development, while teaching is to help others. If you practise in order to become a teacher, or you teach to gain prestige or money, it will neither help your own internal development nor others. What are your future plans for teaching in Europe? From the large numbers who first came to my workshops, I chose and now concentrate on one hundred students who were most prepared to train what was being taught. My aim is to guide them until they can stand independently. If those hundred can really understand the methods well, find it in their own bodies and then pass it to their students, we will be free to concentrate on the deeper aspects. My experience and that of my teacher, is that it requires about fourteen or fifteen years consistent training before a student is capable of teaching independently. I trained under Master Huang for twenty years until his death in 1992, and that is the basis for the help I offer. When I first came to Europe the training experience of many people who were teaching was a little weak as a result of them jumping around from one teacher to another, then adding their own bright ideas into the mix. Another common problem is students who learn for 5 or 6 years then overestimate their own abilities. When their dubious idea of themselves is challenged, they get angry, decide I suddenly know nothing, and go off to teach independently. This is messy for themselves and dangerous for their students, towards whom I feel some responsability. My teacher, Master Huang, also had to deal with a long string of these people. What are the deeper aspects? The deeper aspects are of the mind and beyond. There are three clear levels in Taiji, the body, the mind and beyond the mind (Spirit). I try to teach people the body level thoroughly, lead them further into areas of the mind, while steadily introducing the spiritual aspects. What are the most important things to train on the different levels? The aim is to unite the levels, not to work exclusively on any one of them. People should first learn how to move smoothly in their body, then how to release and align, then to find the forces in the body - combining all these with the mind. All this is for the mind-body co-ordination. Just body training barely has any place in Taiji. Then there is training for mind-energy co-ordination and later for the deepest part of the mind. Simultaneously the Deep Mind connection with the Spirit can be allowed to grow. In terms of the mind, what are you teaching? It is possible to say something but real understanding comes from training. There is awareness and intention on many levels from superficial to very deep. Awareness and intention combine and interact to produce response. Commonly people train some sort of awareness in Taiji but they seldom train the intention. Action with awareness implies body active, mind passive, while action with intention implies mind active, body passive. The special training of the mind intention (Yi) was quite deliberately kept secret by the old masters. Master Huang and Master Ma, for example, kept it just for their inner school pupils, only passing it on to a few of their thousands of students. Because of this the method of developing intention is not usually found in the training either in China or the West, yet strangely, in the Classics it is stated as the most important thing. Even when it is taught, students must practise for a long time before they begin to find it for themselves and take it deeper. Can free pushing replace the fixed pattern pushing hands? It is much better to train the fixed pattern pushing hands and teach your body and mind, the correct responses, under controlled conditions. If you practice the free pushing you just use your existing abilities while attempting to become faster and stronger. Consequently it fixes these inefficient habitual responses more solidly in yourself. When a persons responses have changed to conform to the principles of Taiji, then gentle controlled free pushing can be used to enhance the naturalness of these responses. Please explain the importance of the vertical circle as opposed to the horizontal circle. The horizontal circle contains the external movements of the body which involve repositioning the centre. In the vertical circle the internal changes take place within the mind and within the body, producing subtle changes in the height and vertical forces of the body, while the body makes its external movements. The internal changes in their simplest form are contraction which produces movement followed by release which allows the body to 'swing' or move on under the influence of momentum and gravity. Because the body works against the ground to move, contraction produces both a horizontal force and a vertical one. Faster movements require a greater horizontal force, which necessitates a stronger vertical force, which will produce a slight lifting in the body. While moving slowly in the Taiji Form gravity overcomes this lifting so people may not become sensitive to it. When people need to move quickly the vertical force overcomes gravity and will lift the body slightly, followed by a settling down of the body once the wave of contraction passes. Many people find this for themselves and Zheng Manqing mentioned it in one of this books, but this second phase of releasing or swing has 3 hidden phases that people seldom understand. The muscles cycle through contract, release, stretch and un-stretch, while the mind has its corresponding cycle of concentrate, relax, sink and empty, plus a neutral state for both giving 5 phases. Practical understanding of this only comes from long study. This cycle of mind and body is the basis of all Master Huang taught me in my 20 years learning under his direction. If you don't understand the five states then it's difficult to find the relaxed elastic force of Taiji. It's commonly taught that there are just the two muscle states of contraction and relax. If you only know these two you will be stuck on the pairs of opposites, the Yin and the Yang. If you only consider, or attempt to combine these two as in first contract and then relax, or partly relaxed, partly contracted, then the search for the relaxed elastic force of Taiji is doomed to failure. Stretching and un-stretching are seldom talked about or understood. The corresponding changes in the state of the mind are even more obscure. Please explain the different mind states to train in the form? No, I can't really explain that. They need to be trained with a person who understands them. I can say, people first have to listen very closely to their body. It’s not the normal listening which is from the superficial mind. Look for genuine body sensations such as warmth, pressure and non-visual body positioning. This is the first step and it is considerably different from the feeling type of awareness that the average Taiji person trains. Merely increasing concentration on the level of normal daily awareness is a false method which just makes it more difficult to go deeper later on. Unfortunately, many modern systems of meditation teach people to value and strengthen just this superficial awareness. The ego observes the superficial perceptions, vision, hearing etc. and feels it sees reality 'just as it is'. It is not a true path. Each of my teachers spoke of this error, and my experience confirms what they said. On every level of Taiji there is the paradox of letting go and keeping control. What are your thoughts about this and what ways of working with this do you recommend? Central to Taiji is the paradox of how to combine the yin and the yang, e.g. Contract/release or control/naturalness. What we are looking for is not more yin or yang, or a mixture, but something new. You could call it yin-yang, as one thing. It seems like a mixture of the two, but it is something different, a third thing that is produced. It’s never a matter of one is right and the other is wrong, but the simultaneous combination of the two produces something more subtle. When producing Taiji force (jin) there is drawing in and sending out at the same time. The state of stretching is actually a new state that's produced within the muscle. The stretching allows the yielding and at the same time produces a force, it's not a simple combination of contracting and relaxing either in time or space. The same with letting go and keeping control. The letting go that interferes with keeping control, is not the letting go that you need. The keeping control that interferes with letting go is not the control that you need. You must find that which simultaneously allows an increasing control and an increasing letting go. Why is it important to align the body? It's important to align, at the time of forces passing through the body. It's not necessary to align when you are just relaxing. Aligning creates a line of connection from the ground to the point of application which allows the forces to pass through the body without producing contraction, resistance or pain. A straight and vertical spine for example, allows the strongest vertical forces to rise from the ground. Usually as people get older their spine becomes less flexible and the curves increase causing problems with the disks. Releasing and aligning within the Form and auxiliary exercises can reverse this process. What is the importance of forming a good base? Internal forces of Taiji work up and down from the ground. Without a good base people can't find these forces and will never escape using upper-body strength and weight, signalled by leaning and excessive movement when issuing force. Only when the body is stable can you really loosen the upper-body and find the vertical circle. Only when the body is extremely stable can you concentrate the mind deeply while in the midst of action. Why is it important for the body to be loose? When babies are born they are already loose, but they don't know how to move. The first thing they learn in order to survive, is a reasonable ability to move the body, which involves contraction. Everybody learns that but they may never learn how to release. Consequently, residual contraction remains and accumulates in the body so that when they become older their whole body becomes tight and locked. As an antidote, people first need to learn how to release these residual, habitual contractions. Then, once they make a contraction, how to release it fully, immediately afterwards. Residual contractions block the blood flow and energy flow, as well as interfering with subsequent movements. Certainly when the forces flow from the ground through the body, it is necessary to be able to release previous contractions completely to allow the semi-automatic stretching and un-stretching to take place. Why is accuracy in the form important? The main reason is to train the mind/body control on the initial level. This is achieved by accurate positioning of the body according to a clear intention of the mind, either the stored memory of the position, or a fresh intention at that moment. With beginners, the mind intends one thing and the body does something different. Accuracy is the first step in practising mind/body control, as well as the first step in finding the types of position that allow a greater transmission of forces to and from the ground. Can you talk about your main teachers Patrick? When beginning on the path, it became obvious that I needed to find a teacher who really knew what they were about in a spiritual sense. I began Master Huang's Taiji and shortly after began training with a Sufi teacher. He was a sheikh in the Naqshibandi tradition from Afghanistan, drawing also partly on the Gurdjieff tradition. I continued to train with these two people until their deaths (Master Huang in 1992; the Sufi in 1987). Other teachers who have had some influence are an old yogi who lives in the desert in India, whom I visit from time to time, and an old Daoist sage who is hidden in China and unknown in the West. Master Ma Yueliang, who stayed in NZ for 6 months and whom I later visited in China, helped me also and I have kept close contact for the past 15 years with Master Ni Hua Ching who knew Yang Shou Hou and Yang Cheng Fu and was a good friend of Zheng Manqing. These teachers all pushed me to teach. Without their mandate I wouldn't be so bold as to direct other people in their lives. To come back to the Taiji practise - what is the purpose of pushing hands? Pushing hands is for sensitivity, the Form is to train internal strength. This is their original purpose but poorly trained students reverse this, training the Form lightly with awareness but no intention looking for sensitivity, then using strength combined with elementary mechanics in the pushing hands in an attempt to find internal strength. Pushing hands teaches you to expand and extend your awareness to include others. It allows you to practise awareness of, and a correct response to the partner’s intention whereas in the Form it is your intention that produces the movement in response to the stored body memory of the sequence. Over time and with the correct method you become sensitive to the intention to move in the partner's body, energy field and mind. Pushing hands is also a teaching method where the students can interact with the teacher and learn from that contact. Have you competed in a push hands contest? How do you feel about competitions? I have never competed in a pushing hands contest, but in the Chinese world when you push hands it tends to be very competitive, remembering that most students and teachers in Asia have, at best, learnt in the 'outer schools' of the good masters. In Asia we would often go to the parks on the weekend where there would be Taiji people from many different schools meeting. Though our intention was to learn, this situation was extremely competitive. In China when I visited various teachers, it was often taken mistakenly as a challenge, and serious pushing hands would be difficult to escape. I have watched competitions and they appear to produce and stimulate the worst aspects of Taiji. What people are doing, the competitiveness and desperate trying to win, is against the basic principles. I don't believe people learn much of worth from it. Some people feel they learn to handle an aggressive energy or an aggressive situation but I observe people just become more competitive themselves. The aggressive situation stimulates aggressiveness so it achieves the exact opposite of what people imagine. Pushy people feel justified in their behaviour and rise through the ranks of the organisations that convene the contests, perpetuating these patterns of behaviour. 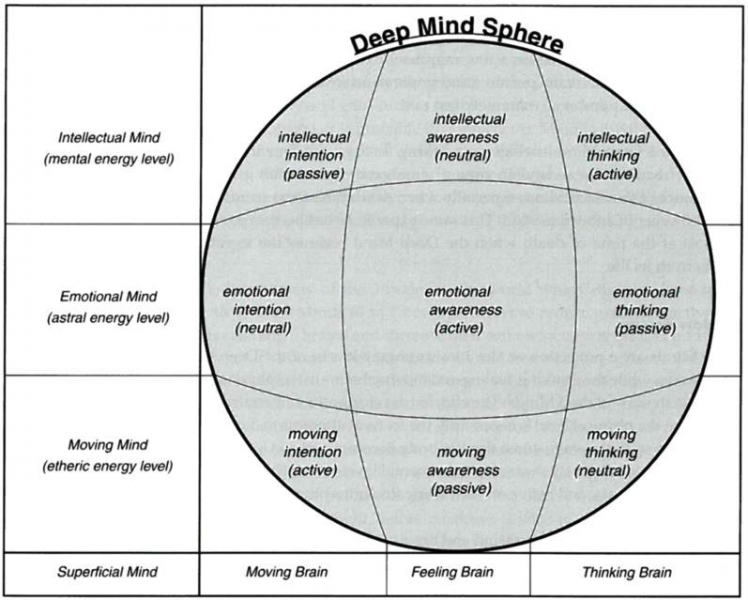 Why is it necessary to develop the deep mind? The superficial mind, or normal daily awareness is basically brain consciousness. The real mind, in all its parts, exists in the energy field, not in the brain. When you die the superficial mind is gone with the brain, but the deeper aspects of the mind still exist and operate on three different levels. There is the mind connected with the body, the mind connected with the energy field and then there is the intelligence of the mind. The Deep Mind Intelligence functions through these three aspects. It connects into the brain and body through these 3 aspects, but is quite different from the brain. The Deep Mind, which includes the deeper parts of the energy field, is your real individual self. It's born in a body to develop its energy field and its associated intelligence's. That is the purpose of life. Not remembering this, you waste your lifetime. So you would say it's the main purpose in training Taiji? The classics say the main purpose in training Taiji is to achieve longevity, which in the Daoist teaching means immortality or the ability to survive after death in your diamond body. The Buddhists talk of enlightenment which means to create a body of light for the same purpose. After death you live on in your energy body one way or another. If your energy body is strengthened and refined through correct effort during your lifetime then the deeper aspects of yourself become independent from the body, immune from death in your crystallised energy body. If you haven't achieved that, then you either gradually fade from all individual existence or return in a body to try again to escape the rounds of lives and deaths. This is the truth of life. It is well understood by all real teachers. Other purposes for Taiji are minor ones, created by people in normal life, usually to nurse the body and make it more comfortable, or to attain fighting power and the dubious respect that confers. Unfortunately concentrating on health or self-defence may just make the mind more attached to the body, strengthen the ego and block internal development. How can those interested in your concepts make contact with your teaching? Master Huang Sheng-Shyan once suggested that a student should be prepared to look over the mountain for a good teacher, and a teacher should be willing to travel the oceans for a good student. Both efforts reflect a good attitude. The first requirement to learning something new is to let go of what you already know. Only when your cup is empty is there space to add something further. Fully absorb the purpose and function behind the new lessons, before relating them back to the classics. If it fits with your understanding of the principles then incorporate it into your ongoing practise, otherwise let it go. It might be contrary to your present direction, or it might only have some relevance later, on your Taiji journey. Students seldom give a teacher the chance to teach, by not practising what was previously taught you don't have the foundation to be taught the next things. Just attending classes or workshops does not mean that you will become good at Taiji, results come from practise. When someone teaches you they are imparting a method of training, or offering you a key to the door. To open the door and enter the room, you need to practise to develop a foundation of what was taught. During the next stage of training the teacher's guidance can present you with another key. However if you haven't walked through the first door, this new key will be of no use. Initially it is necessary to establish a regular daily training routine to develop self discipline. However you must soon find enjoyment in your practise and therefore develop the want to train, otherwise you will build up mental resistance that will prevent the subtler depths of Taiji being apparent. The Taiji journey begins with a teacher being required to build the foundation, or as the classics put it "to come through the door, you need oral transmission". But once the foundation is solid, and a clear direction is set you can still progress even without your teacher. Then when a certain level is reached, a new dimension of understanding will open up, and begin a process of exploration and discovery that can be continued for the rest of your life. As a teacher it does not mean that you have stopped practising. "Teacher" is only a form of address, we are all just students, always learning and practising.